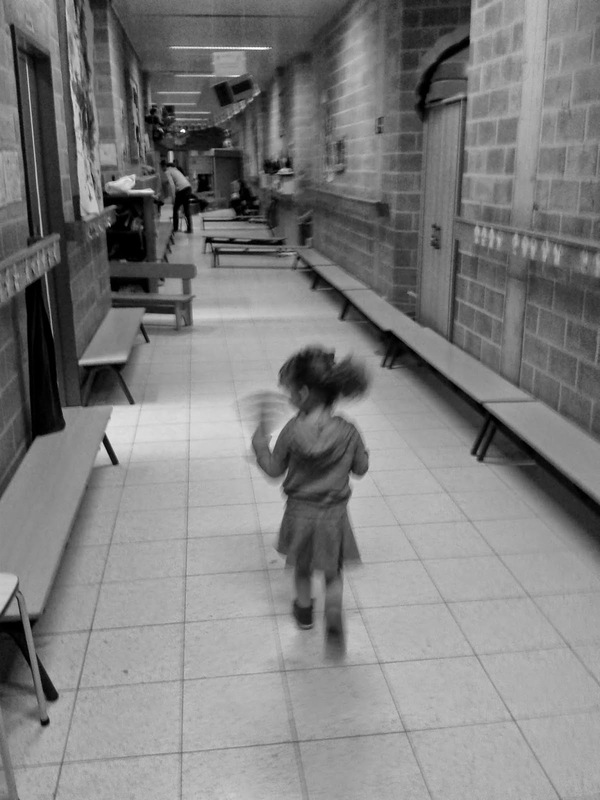 Yesterday morning we went for a-get to know- play date in her future school. 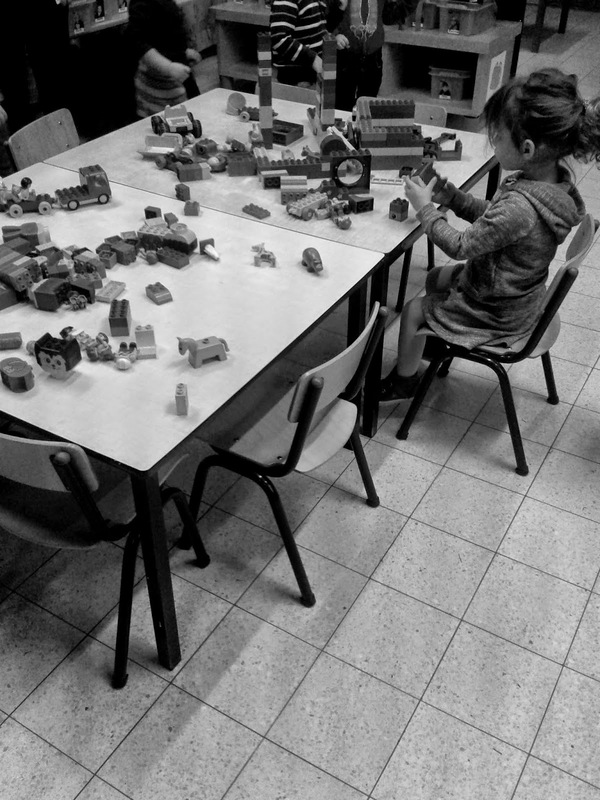 We were invited to spend an hour in the classroom where she will be going soon and get acquainted with the place, the toys, the teachers and the other children. 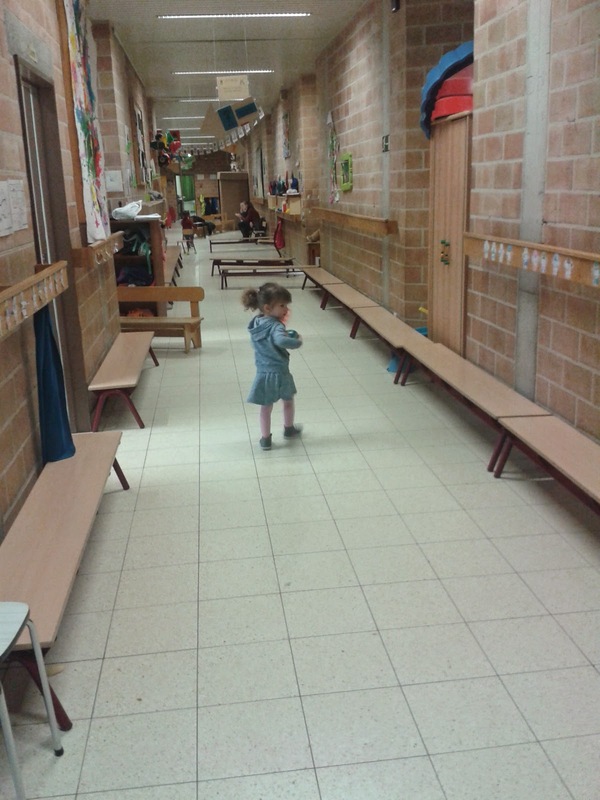 While we were waiting to go in, she was already running through the hallway and trying to steal other childrens' water bottles (because Maya was on it), and taking toys from the class rooms - Her nick name is Petti Sticky Fingers after all, in case you did not know. 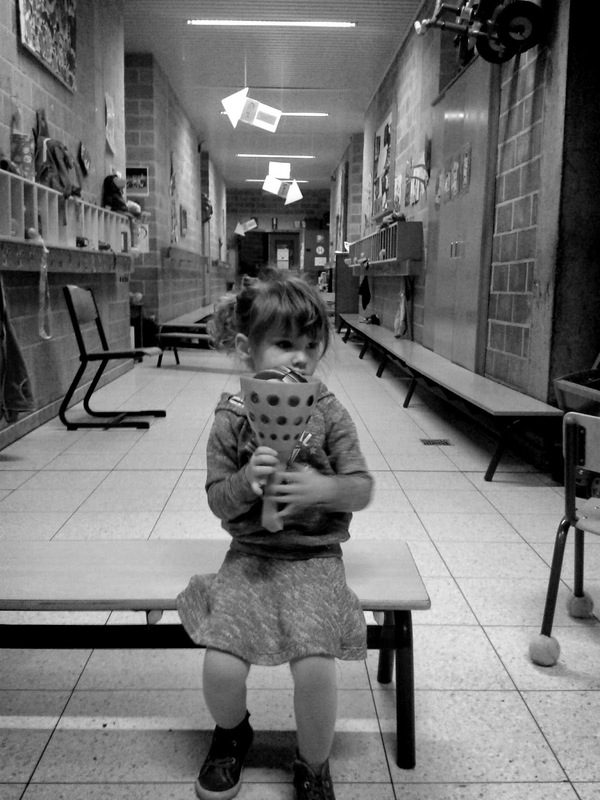 Anyway, when all the other kids ran into the hallway after play time - loud and enthusiastic as they are - I was afraid that she would freeze, get shy and stay close to me, because even I found it intimidating, but Olivia kept her cool and observed the whole situation with an unexpected openness. When the teacher said: you can all come in now - she got up and walked into the classroom as if she did that every day. She immediately crawled onto the slide and went to sit at the table with the Duplo toys. 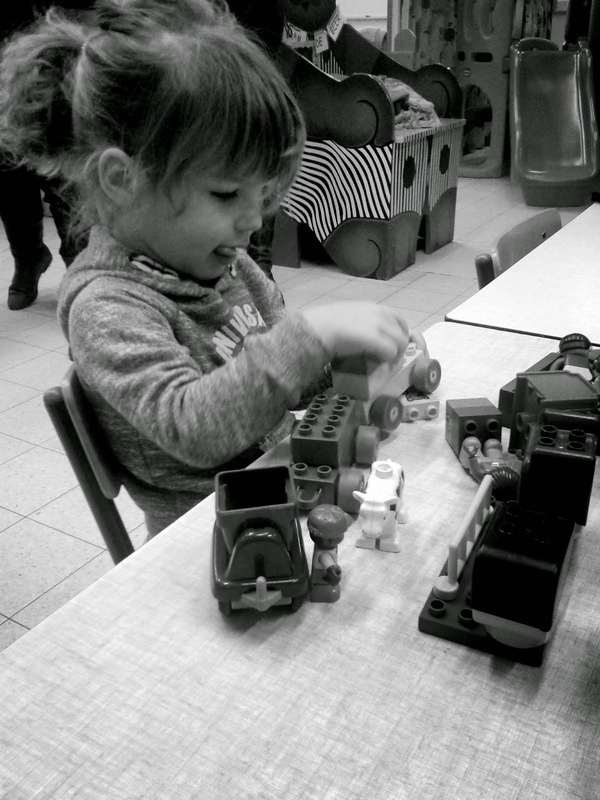 While the teacher explained us how everything works , I could not stop looking at my little girl, playing. This little girl that was once this tiny, tiny baby, and who is growing into such a fun little girl. I could not stop smiling, I am so lucky to be her mama and I am so proud of her. I love you, my little bumble bee. Before she is ready to go, we have to get her potty trained and that is not so simple, as it turns out. Petti's way or the highway.